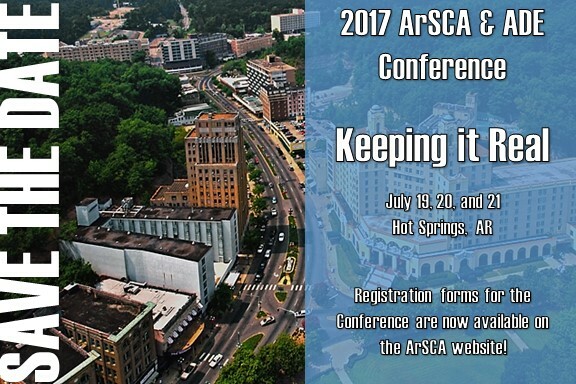 2017 ArSCA & ADE School Counselor Conference is July 19-21, 2017 at the Hot Springs Convention Center, Exhibit Hall A. At the conference, attendees obtain pertinent information and professional development hours for school counselors. ArSCA is partnered with Lindenwood University to offer the opportunity to connect and obtain graduate hour credit. ArSCA and each ArSCA Region conduct business meetings. ARSCA Members elect officers and vote on any by-laws revision and other pertinent information. School counselors are recognized for special honors. Vendors are available to purchase items for your counseling program and personal use. Come gain professional development hours, connect with other school counselors and agencies, relax and have fun. Embassy Suites has a dedicated website available for our conference attendees to book their hotel rooms online. Through the website below, you will be able to book, modify and cancel your hotel reservation and receive updated information about the event. To maneuver the website, click on the link. Choose ‘Attendee’ on the drop down menu. Select check in date, check out date, number rooms, and number guest per room; then click find a room. Room options will be available. Make your selection and continue reservation. We look forward to seeing you in Hot Springs. To make reservations click here!